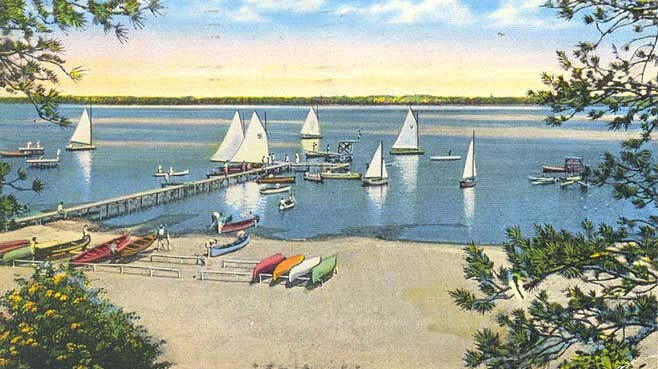 Get a Feel for Camp Lake Hubert! 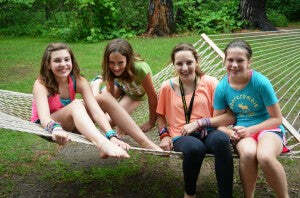 Home > Blog > Get a Feel for Camp Lake Hubert! You know what’s always a treat for us is when we get to talk up the excellent summer camps with whom we’ve developed solid relationships. We work with more than 250, so we post about them fairly frequently. We call them our Summer Camp Spotlight Blog posts and today, we’re fixing our spotlight on Camp Lake Hubert for girls—sister camp to Camp Lincoln in the Lake Edward Township of Minnesota. Located on beautiful land occupying the south side of Lake Hubert, these campgrounds boast a clear, spring-fed lake with a soft, sandy bottom and gradual slope. Providing more than 120 acres and a second small lake on its south border (Bass Lake), the setting at Lake Hubert for girls sets the perfect tone for a wonderful summer camp experience. Your camper is sure to be engrossed in a number of all the available activities from options like Archery, Baseball/Softball, Crafts, Dance, Drama, Golf, Guitar, Gymnastics, Lacrosse, Martial Arts, Biking, Horse Riding, Radio, Riflery, Soccer, Tennis, Rock Climbing, High and Low Ropes Course, Day and Overnight Trips, Fishing, Kayaking, Sailing, along with a whole lot more! Give your daughter the gift of summer camp—the gift that keeps in giving as it instills confidence in its campers and teaches them how they fit as an individual into a healthy community of camp-minded folks as well as how they fit into the natural world. You and your daughter can choose from a two, three, four, or eight-week camp stay. All summer sessions at Camp Lake Hubert are designed to introduce your daughter to a subtle maturation, but they encourage kids to opt for the longest session-length they feel they can handle as the benefits and overall impact multiply exponentially the longer you stay. If Lake Hubert seems like a good place for your daughter, be sure to check out their website for yourself and, as always, thanks for reading.